For apprenticeship week, we catch up with our apprentice Sophie and Head of Technical & Production Oli about why alternative routes in the industry are important and what the programme offers. There’s so many different careers behind the stage in the performing arts world that are simply not known about. It is important we offer the experience and opportunity of our work to as many young people as possible. 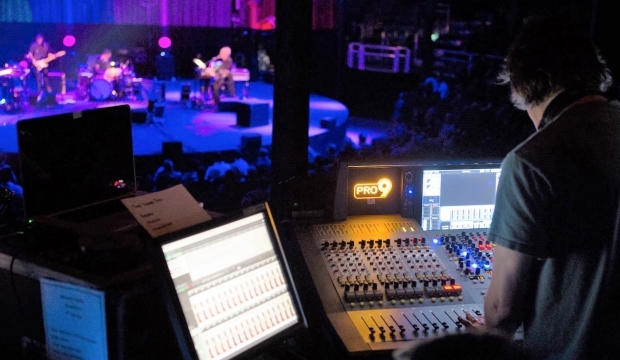 Since 2014, Roundhouse and Sadler’s Wells have worked in partnership to offer two full-time, paid apprenticeships in technical theatre (sound, light and stage) per year. 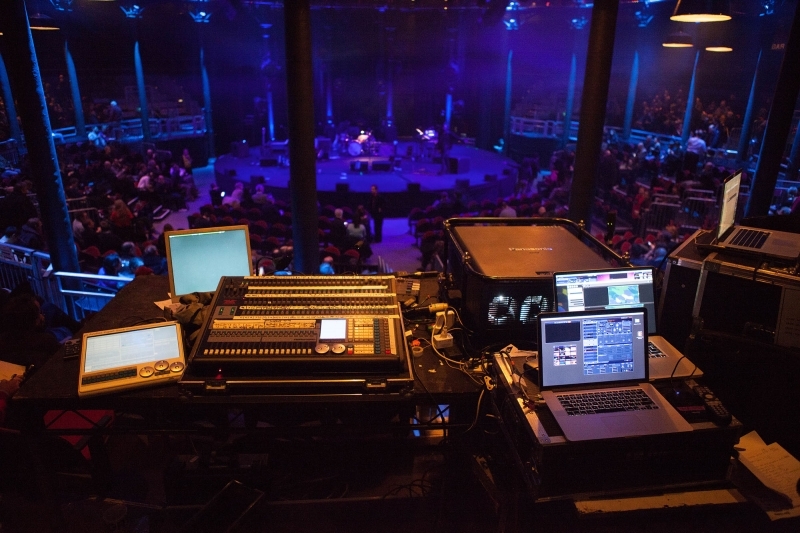 Apprentices work equally across Roundhouse and Sadler’s Wells to complete a Level 3 Creative Venue Technician apprenticeship standard, developing a variety of backstage skills and production knowledge. Sophie, how did you find out about the apprenticeship? Why Roundhouse? I found out about the apprenticeship whilst looking for entry level jobs in and around theatre and live events. I’ve known for years that I wanted to work backstage, but I also knew that I wouldn’t enjoy university and other conventional courses as much as I am currently enjoying myself at the Roundhouse. I’ve always admired the Roundhouse for the work they do with young people and have always been impressed and a bit awe struck by the Main Space and the general look and layout of the building. Then having the opportunity to meet some of the Roundhouse team at the interview, I felt that it was somewhere I could fit in and be comfortable working. There isn’t really an average day at the Roundhouse, with there being different gigs or events every day. Usually, the day starts with a few of the technicians setting up the stage for the artists who are there that evening. This involves a lot of lifting to construct the risers and platforms that are needed on stage. After that I might go and help the technicians who are working on the lighting rig, and see if there’s anything there that needs an extra hand. Or I might go and construct some temporary dressing rooms for use later that day. What do you most enjoy, and what do you find most challenging? 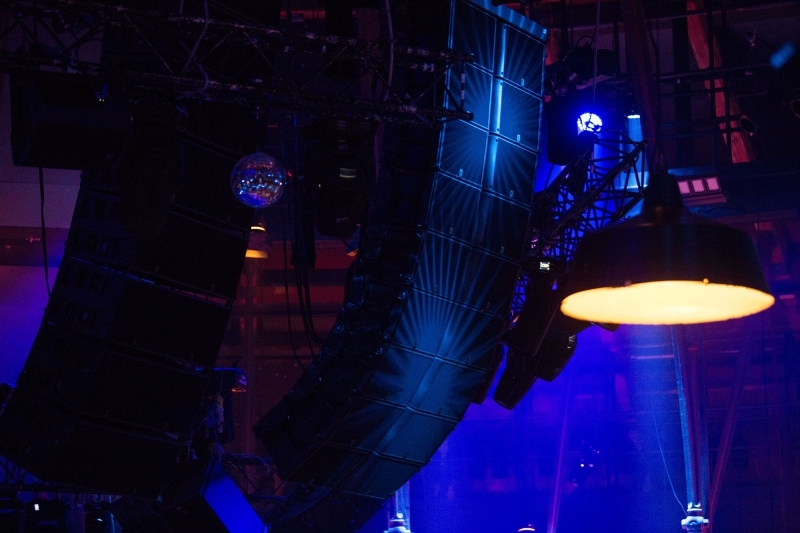 I enjoy how every day is different and how I can explore all aspects of technical and backstage during the day – I can go from helping to set up a stage and sound system in the Roundhouse Bar and Café to changing out a moving light from the main lighting rig in the Main Space. Currently, the most challenging part of my job is probably when I’m needed to go up into the roof, I’m not the best with heights although I am working on changing that! The part I enjoy most about the programme is watching and sharing our apprentices’ journey. It takes them from a spark of enthusiasm and interest in the industry to skilled venue technicians that have the confidence to transfer those learnings to the real world. There’s nothing more satisfying than hearing about apprentices that have finished the scheme and are doing well, making connections in the wider industry. What do you hope to do after this apprenticeship? After this apprenticeship, I hope to still be working as a technician, although I haven’t yet decided if I’ve got a favourite department. Any advice for people considering a technical apprenticeship? If it’s something that you want to do, go for it. Being able to learn on the job alongside people who’ve been working in the industry is priceless. It also helps being able to get paid while you learn, which is always a bonus for living in London! Read more from technical theatre apprentice Diana at Sadler’s here.